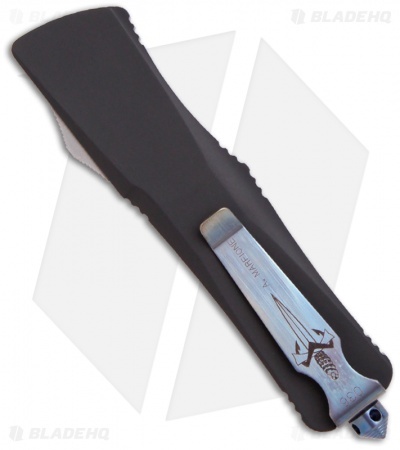 This Marfione Custom Troodon knife is excellent condition. The action on this knife is perfect. Comes with original box and paperwork. Pictured above is the actual knife for sale. 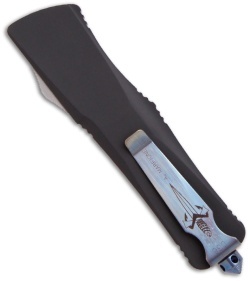 This knife features a high polished stainless steel dagger blade that has been hand ground by both Anthony Marfione. 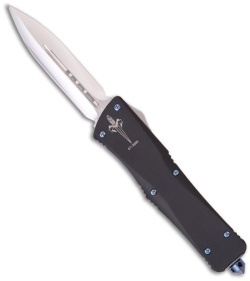 The handle is black anodized aluminum with blue titanium hardware and glass breaker. The handle is marked with the Marfione Dagger and "07/2006" -- the production date. The pocket clip shows the serial number 036, Marfione Dagger and "A. MARFIONE" as well.